C2G Newsletter and Current Opportunities. We hope your summer has been fruitful and fun. With the economy bouncing back, we are seeing lots of activity at C2G! Please visit our website for opportunities. Enjoy the rest of your summer. We wish for continued success among our clients, our consultants, and our readers this season. C2G is proud to have been recently featured in a Forbes piece chronicling the expansion of our analytics department. To view our feature,click here. Sunny Kim has been a long-term consultant with C2G, working on a variety of different projects. Below, you can read a bit more about Sunny, and her experience as a C2G Consultant. 1.How did you hear of Consultants 2 Go? Prior to working with Consultants 2 Go, I was on the OPEN Small Business team managing the Delta and JetBlue OPEN Savings benefits at American Express. I have a background in Public Health so when I unexpectedly moved to New York in 2000, I did not expect to find myself working at a bank. I immediately clicked with the work culture at Amex and my promise to myself of leaving American Express after two years quickly dissolved. Nine years later when my family had to relocate to Georgia, I spoke to several American Express co-workers who had already transitioned out of New York. Consultants 2 Go came up as a great place to consult – especially for working mothers like myself. I was given Annette Giordano’s contact information and it turned out that we had worked together many years prior when a co-worker went on maternity leave. Soon after the connection was made, I received an interview! I have been working on the Online Display channel team at American Express since starting with C2G. Despite a reorganization at American Express that had the potential to disrupt, C2G ensured that everything moved forward without any interruptions. Working on the Online Display team has been a fabulous opportunity where initially I got to learn a new side of the business but now I get to see the business change, grow and mature. Having been on the same product for all this time has allowed me to bring to the table a lot of history and consistency. I love being asked about campaigns we ran in 2012! I love how accessible everyone is at C2G and how easy they make it for me to focus on my work. I also admire all of the strong, successful female figures at C2G. You can tell that everyone at C2G is happy because they are all so nice. I especially love how Consultants 2 Go has such a deep relationship with the company I love–American Express. Consultants 2 Go allows me to work on fun, innovative projects with fun, innovative people at Amex. 4. How has C2G helped you and your career? I am so appreciative of C2G for the opportunity to continue to work at American Express after my relocation. Consultants 2 Go is very knowledgeable about American Express’ culture and opportunities. They understood what my years at American Express brought to the table and quickly matched me to the right people and opportunity. 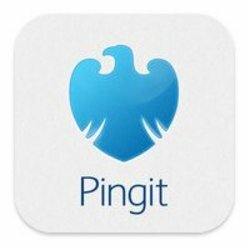 Capita announced that it would use Barclays Pingit app, giving Capita customers access to payments via app. Click here to read more. Consultants 2 Go publishes a blog every week and we would love to have guest bloggers. We cover topics ranging from small business, to marketing, sales, and social media. If you are interested, please contact Patrick Coughlin at patrick.coughlin@c2gresourcing.com. You can check out our blog here. Erica is the Director of Business Development for Consultants 2 Go. She works with clients to meet their needs and further develop relationships. To read more about Erica, please click here. Consultants 2 Go® (C2G) is a minority, women-owned consulting company. We provide marketing and analytics consultants to Fortune 500 and mid-sized companies in the Financial Services, Telecom and Insurance industries on an interim basis or as an outsourced project. For more information and to view our available opportunities, click here to go to our website.